Mold in the home is an issue that needs to be resolved as soon as possible to promote the health of the home and your family. Mold removal (also known as mold remediation) takes more than just a quick spray with a bathroom-cleaning product, as what appears on the surface may only be the tip of the iceberg. There is an element of danger in mold removal. If you have not been tested for allergies to mold, it is possible that direct exposure can trigger serious medical reaction. Some people have only minor allergic reactions. In any event, our workers are highly trained in handling and removing mold, and all of the precautions necessary. 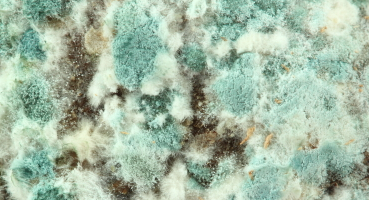 The process of identifying mold can be confusing. You have to not only determine that what you are looking at is mold, but you also have to determine its source: How did the mold start growing there? A professional can spot and identify mold and its causes pretty quickly since they have years of trained experience. The first step in the mold removal process is a complete assessment. It is necessary that we check every surface in your home where mold could possibly be found, including the more obvious areas such as ductwork and crawl spaces. Mold thrives in warm, damp, and dark places. We need to find every location of mold and locate the source of the moisture that caused it. We will not just remove the mold that is currently present if a new batch starts growing immediately afterward. Once the mold has been located, the actual mold removal process can begin. We first eliminate the source of the moisture. Often, the source is a leaky air duct. If that is the case, it is sealed securely. In some cases, the mold may be so widespread that the materials saturated with mold are discarded and replaced. In each case, the mold itself and the source of the mold are both eliminated. Our technicians are equipped with the equipment and protective clothing that enables us to work safely. We also use a special HEPA vacuum to clean even the tiniest particles of mold from the area. We offer mold removal services in Richmond, Virginia as well as Midlothian, Fredericksburg, Charlottesville, Williamsburg, and Ashland.